In conversation with writer and academic Mona Bhan on militarisation and democracy in India in the wake of the Kargil War. 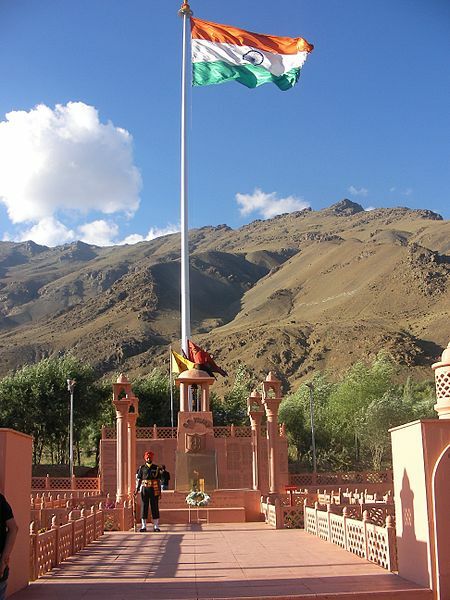 A memorial to Kargil’s fallen. Nawaz Gul Qanungo (NGQ): India and Pakistan committed serious ceasefire violations along Kashmir’s Line of Control (LoC) in 2013. Given the paucity of media coverage and the absence of independent sources, you’ve continued to have doubts over what was really happening between the two armies and why. Having spent years near the LoC and witnessed such escalations first hand, what are your impressions, and how do you see the recent escalations? Mona Bhan (MB): Violent skirmishes are one way borders are made. In Kargil, routinised albeit theatrical events both justify the military’s presence on the borders as well as transform spaces and places into national territory. In a region where borders are impossible to define – physically as well as socially and culturally – states resort to violence to ‘make’ borders. This can include shelling or even beheadings – both overt displays of state power and the ways states assert their sovereignty. So, while the brutality of such incidents is inexplicable, what is clear is the way statist media has used – and continues to use – these events to represent the ‘enemy nation’ as savage, barbaric and inhuman, characterisations that play a critical role in sustaining institutions of war and violence. In Counterinsurgency, Democracy, and the Politics of Identity in India, instead of emphasising the geopolitical triggers behind crossborder ‘skirmishes’ (a word that I think trivialises the lived experience of crossborder violence), I talk about how village communities in Kargil view crossborder shelling: in their view, the intensive shelling during and after the Kargil war ‘brought the border closer’ since their access to highland pastures and other resources became severely limited. The border seemed closer in 1999 also because, unlike in previous wars in which technology wasn’t as developed, new and sophisticated weaponry had collapsed the distance between ‘home’ and ‘battlefront’. For many who seemed accustomed to such incidents, shelling was also seen as a way soldiers across the border announced their presence in order to prevent ‘crossborder infiltrations’. Sometimes, crossborder shelling was seen as a ‘play’ between men who were excited to use their weapons or were simply bored. In other words, contrary to media representations that use such incidents to shore up nationalist fervour and generate support for aggressive foreign policies, for people on the border, such incidents – to an extent – depict the banality, and the boredom, of serving on the LoC. NGQ: What are the meeting points between people’s daily lives and the overwhelming levels of militarisation in Kargil and its surroundings that you talk about in the book? What kind of an interface are we looking at? MB: There’s an intense militarisation of life on the border, which means the military has become part of people’s everyday life – from less organised activities like going to the army canteen to buy toothpaste or soap to more structured events in which the military organises bada khana for villagers to ‘hear out their grievances’. Soon after the war of 1999, the economy also shifted dramatically. The transformation of people from shepherds (pajlus) to porters has been noticeable, a shift that has disrupted the existing division of labour between men and women, and thereby transformed existing codes of masculinity. All of this has become even more pronounced within the context of the Indian Army’s Operation Sadhbhavna (Goodwill), a counterinsurgency strategy branded as ‘heart warfare’. During the Kargil war, the Indian army recruited local men to fight. For many young men, fighting the war was a rite of passage into adulthood and many were hired under the false pretext that their wartime enlistment was permanent, the hoax being part of a wider corpus of military stratagems that allowed the systemic exploitation of Ladakhi bodies and landscapes, creating a sustained and permanent geography of sacrifice on the border. Scholars who study war upclose will tell you that the lines between war and peace are blurred; this is instantiated most clearly in Kargil where an economy geared toward war and war preparation has energised the military as an institution since the 1940s. 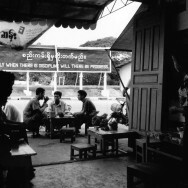 There are villagers who are forced to flee their homes and seek refuge in safer areas. For instance, many folks from Kaksar live as refugees in Kargil. A villager once told me how being a border resident was even worse than being a beggar. Moreover, the intensification of conflict often also leads to the reinforcement of troops and weapons, transformation of local land for military use, and increased emphasis on defence and national security. These are all state imperatives that have disempowered democracy and rendered it profoundly ineffective. In Drass, for instance, people are yet to receive compensation for land that the military occupied in 1999. Likewise, Brogpas cannot access many of their highland pastures. Like many of their counterparts in Kargil they are still demanding compensation for their occupied land and resources. NGQ: After the Kargil war there has been a rigorous, concerted effort of what you describe as making the Kargilis ‘active stakeholders’ in the long-term peace, stability and development of the region. Prominent in this has been the creation of the Autonomous Hill Development Council with an aim to decentralise political power within the state. The state considers it ‘critical to integrate’ the population fully into the ‘national mainstream’. At the same time, there is the overwhelming anti-India and pro-Independence sentiment among Kashmiris who would imagine Kargilis as being on ‘their side’ – something that the Indian nationalist discourse never fails to challenge by attempting to project the Shia Muslims [in the majority in Kargil] as a community at loggerheads with the larger Sunni majority. How do you see this ‘integration into the national mainstream’ with regard to the demand of independence playing out in Kargil in the longer run? MB: The Hill Council is ‘democratic’ only to the extent that it relies on formal procedures of democracy – elections, constituencies, campaigning, etc. – for its functioning and legitimacy. Indeed, any democracy that privileges the narrow statist agendas of ‘security’ and ‘integration’ can hardly bring about substantive and meaningful political transformation. And, unless the Kashmir issue is resolved in accordance with people’s aspirations, hill councils and other such initiatives in border areas will be less about extending democracy and more about disciplining populations through various political experiments. Unfortunately, the kind of democracy we have is one in which myopic security interests always trump healthy political alternatives or a robust political will. A case in point is the recent Aam Aadmi Party fiasco in which holding a referendum to reduce the military’s presence in Kashmir was immediately denounced by the party. 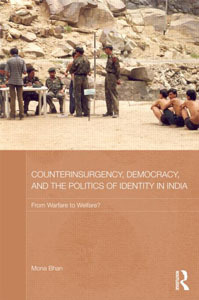 Counterinsurgency, Democracy, and the Politics of Identity in India: from Warfare to Welfare? by Mona Bhan. Oxon and New York: Routledge, 2014, 248 pp. In order to fully grasp the regional complexities in Jammu & Kashmir – without resorting to hegemonic tropes that use ideological and regional differences between Shias and Sunnis to undermine the struggle for self-determination – we need to consider the ways Kargilis have been fighting their own real battles, like the one related to the region’s connectivity, especially during winter months, or the battle for self-realisation via dignified work. Apart from material grievances, I see the struggle of Kargilis as a fundamental quest for pride and dignity, an aspiration to restore their rights and make their voices count in a political context in which Kargil’s image is that of an unforgiving battlefield, a place devoid of people, culture, and civilisation, where the only sign of human life perhaps is the image of an Indian soldier tirelessly guarding the nation’s cold and rugged frontier. Now, while these struggles might seem unrelated to the pursuit of azadi, Kargilis have suffered immensely because of nationalist agendas to carve out borders and divide families, friends and neighbours. Therefore, while Kargili struggles cannot be entirely reduced to Kashmiri aspirations of azadi, they are not entirely divorced from it. Any attempt to uncritically promote national integrationist agendas in Kargil often represent it as India’s backward and neglected periphery, a construction that deprives Kargilis of their very rich and complex history and undermines their ongoing struggles for reimagining territory and sovereignty. Critical scholarship on the region has shown us how Kargil was not always ‘remote’ or ‘peripheral’. These are ideological labels that have become synonymous with Kargil and profoundly shape local struggles for dignity and self-respect. Until the 20th century, Kargil was often referred to as a ‘delightful oasis’ where travellers and traders experienced a welcome break from the tedium of an otherwise harsh landscape. Unlike the past, however, when Kargil was a centre of bustling trade connecting people and places, the only road that now connects Kargil with Kashmir is the National Highway 1, which was built predominantly to sustain the Indian military’s continued and easy access to an important and strategic border zone in the 1960s amid rising fears that China had already built roads to connect Xinjiang with Western Tibet. From 1947 onwards, a spate of border wars between India and Pakistan over the status of Jammu & Kashmir militarised Kargil profoundly, contributing to Kargil’s image as a politically unstable periphery. Kargilis have long demanded the restoration of their connections with places, family and friends that the LoC so violently disrupted. For them, reclaiming past connections and histories that defy nationally scripted boundaries is a deeply felt aspiration, and Kargilis do this through music, poetry, memorialisation projects, and – when possible – travelling across borders to reconnect with people and places. NGQ: You talk about India’s need to ‘secure the loyalties’ of people at the borders. One also understands from your book that there was no such need when there was no war. While you seem to doubt the ‘hegemonic narrative of India’s unequivocal victory in 1999’, is India today winning what it calls ‘heart warfare’ with populations at its borders and elsewhere? And how do you see the future of this warfare in Kashmir at large? MB: The governance initiatives of the state and the military in Kargil are based on the fundamental assumption of disloyalty. As I said before, the pursuit of national security is deeply tied to securing, fixing and deepening people’s ‘loyalties’ to the nation state. Disloyalty does not always mean resorting to violent activities against the state (we don’t see any anti-state violence in Kargil). Disloyalty is a profoundly ideological term that can mean different things at different times and is therefore used to justify a range of governance/surveillance initiatives by the state. 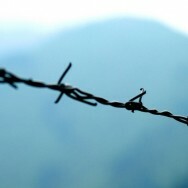 Disloyalty could also mean sharing affective, emotional ties with people across the border. It could mean asking for peace when national politics is hawkish and combative. It could also mean speaking the same language or performing the same rituals that your counterparts across the border speak or celebrate. Many Kargilis in Gurgurdho, a border village in Kargil, told me how the Indian military thought the villagers were communicating with Pakistani villagers the night of Shab-e-Baraat when they lit up their homes to mark an important day on the lunar calendar. Likewise, the military officials I interviewed expressed concern about ‘latent’ but ‘deep’ religious and affective crossborder connections that could ignite into inflammatory anti-India politics if ‘adequate’ steps were not taken to ensure people’s ‘loyalties’. Of course, what they mean by ‘fixing loyalties’ is to ensure that people feel no crossborder allegiance and are willing to kill and die for the country. Indeed, a large emphasis in my book is on the category of ‘incipient terrorism’, a term that one Lt General Arjun Ray borrowed from the US’s counterinsurgency vocabulary to justify, and extend, the military’s reach into civilian life; it is a term that makes ‘latent disloyalties’ in people (however this is mapped and measured) a legitimate reason for military action. Calling threats in Ladakh incipient – compared to Kashmir where they were obviously full blown – allowed the military to view their task in Ladakh as a moral mission to transform seditious or potentially seditious populations into law-abiding citizens who would unquestioningly subscribe to the imperatives of state security and nationalism. Widespread images of potential subversion have thus consistently been used by the military to legitimise its growing hegemony over minority bodies and landscapes, a power that ultimately threatens the projects of human rights, citizenship, and substantive democracy in the region. NGQ: You seem to locate the origin of Operation Sadhbhavana in the ‘humanitarian’ approach to Kashmir of former Indian Prime Minister Atal Behari Vajpayee. Do you also attribute to him the essential perversion of this ‘humanitarianism’, be it by the civil authorities or the military? MB: I can’t attribute the perversion of humanitarianism solely to Vajpayee’s politics of insaaniyat, although I do frame it as a pivotal point that made the politics of compassion central to governing Kashmir (and was reinforced further by the state goverment’s ‘healing touch policy’). Of course, humanitarian interventions have long served and continue to serve the interests of various powers. Scholars have rightly pointed out the continuities that exist between security and humanitarianism which become even more pronounced through the new brand of counterinsurgency warfare that both General Petraeus and Arjun Ray championed for the US and India respectively. Indeed, as I argue in the book, the end of the Cold War witnessed an overt politicisation of humanism and its deployment in highly controversial missions under the pretext of peacebuilding and humanitarianism. While the ‘human’ emerged as the new object of care and compassion, it produced alongside it a wide network of state and non-state actors deeply invested in the morality of protection. Of course, as scholars have shown and repeatedly argued, the politics of compassion and humanitarianism can be a continuation of war by other means. NGQ: You describe being asked by the stationed officer for Operation Sadhbhavna to draft an ‘orientation guide for newly deployed soldiers’, and later of ‘dangerous allegations of espionage and money laundering’. 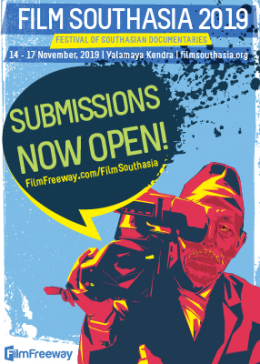 While you talk of ‘competing ethical narratives’ too, how have these affected your work per se? MB: Of course, the military’s allegations dramatically shaped my research questions. And these are everyday ways in which the military exerts its arbitrary and unquestioned powers on the borders. Indeed, I see their need to orient the military better with the local culture as an aspect of what in the US military is known as the Human Terrain System in which social science is deployed for military operations, ostensibly to conduct a more ‘sensitive’ war – obviously ironic! Amassing ‘cultural knowledge’ about a people or community is an integral component of counterinsurgency warfare now, a strategy that helps militaries make inroads into community life. In any case, I speak about competing ethical narratives within the context of my deep criticism of the military that often conflicted with people’s overwhelming reliance on the institution for livelihood opportunities and other basic requirements such as education and health care. NGQ: You write that in Kargil, “people’s livelihoods depended so much on the military”. In spite of this, is there any demand for demilitarisation in Kargil like there’s been in the Kashmir Valley? The demand for demilitarisation apparently seems far more vocal in the Valley. Does that suggest the dynamics of militarisation in the Kashmir Valley are different? MB: Well, yes, I think the dynamics of militarisation in Kargil are somewhat different. But the implications are nevertheless disastrous – acres and acres of government land are under the military’s occupation, disallowing Kargil township the ability to expand – a limitation that has prevented the growth of alternative socioeconomic opportunities. Likewise, the local airport – which is hardly functional for civilian use – will become a full-fledged base for the air force by 2016, transforming Kargil into a garrison town. Indeed, the political discourse in Kargil cannot explicitly support demilitarisation. Instead, the demand has been to relocate the military from prized positions and locations in the town. Many political leaders see questioning the discourse of defence and national security (which would obviously weaken the military’s claims to land, resources and people) as an impossible scenario. To me, this obviously reflects the paucity of political imagination but also the unfortunate fact that everyday life in Kargil is so deeply enmeshed with the military. The state has been unable to provide economic opportunities that can compete with the military. But in a place where defence and military allocations are massive and wars so integral to the political culture, the military becomes all too powerful. Notwithstanding its rhetoric, the military’s institutional longevity relies heavily on monopolising local resources and undermining local livelihoods. For me, the extent of militarism in Kargil is reflected precisely by the fact that envisioning an alternative economic future that does not depend predominantly on the military seems very difficult given limited avenues for social growth and mobility. A democracy that relies on the military for sustaining people’s social and economic lives is hardly a democracy. In a nutshell, I think that we cannot speak about questions of social and economic equity or regional parity in Jammu & Kashmir without critically engaging with the political economy of militarism. NGQ: What do you mean by ‘militarised labour’ and ‘militarisation of lives’? You have been to Garkone both before and after the initiation of Operation Sadhbhavna and you note that the “militarisation of… lives had taken a different turn”. What changes did you observe? MB: I argue that hegemonic images of the military’s tireless heroism on India’s frontier performs critical political work. They represent the military’s intent to tame recalcitrant people and landscapes while erasing the routine incorporation of civilian labour to sustain the projects of border sovereignty, counterinsurgency, and national security. Since India’s Partition in 1947, militarised categories of work and labour have become integral to people’s everyday lives on the border. Yet, such labour is rarely acknowledged. Indeed, the erasure of civilian labour bolsters the military’s heroic triumph over people and territory while promoting Kargilis as potentially subversive citizens whose loyalty towards India is wavering and irresolute and for whom the overall project of nationalism remains profoundly elusive. 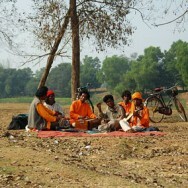 In the post-war period, a category that became highly popular in Garkone, the border village where I conducted fieldwork, was that of the ‘war-hero’ or ‘first informer’ – an exalted status that the military attributed to a middle-aged Brogpa man who was the first person to inform the military of the Pakistani presence in Indian territory. Yet, narratives of his loyalty and his extraordinary bravery were consistently used by the military to erase the sustained use of Brogpas for war and post-war labour since 1948. Labouring for the military is another reason why I see Kargil as a sacrificial zone. In the book, I talk at length about the ways in which everyday social and community institutions were transformed to serve the needs of the military in 1999. The institution of communal or obligatory labour, for instance, that was used by the villagers to divide tasks among households during peacetime served a key role in supporting the wartime efforts of the military. Likewise, I also speak about the ways women’s labour on farms became an important resource to fulfil the military’s persistent demands for food and ration both during and after the war. NGQ: When you describe as ‘hegemonic’ the ‘narrative of India’s unequivocal victory’ in the Kargil war, do you doubt that victory itself? MB: When you say you won a war, the general perception is there is a clear rupture or disconnect between war and peace, a clear moment when war ends and peace begins. But we know the disconnect is not so clear, and that the term ‘peace’ does not quite capture the complexities of post-war scenarios. For instance, in 2003, even in the absence of an official ‘war’, crossborder shelling was a regular feature in Kargil. There were more civilian casualties in 2003 than there were during the war in 1999. But of course it didn’t make it to the news. The ceasefire since November 2003 did improve things but till then there was intense shelling every day, and the people were caught between what was clearly a war between two countries. Yet in the Indian state narrative, the war had long ended and had even been won – even though the events in Kargil pointed to a different reality. It is such state-centric narratives of victory that conveniently suppress complex post-war realities that I call hegemonic. Second, calling an ‘end’ to an ongoing war is what states often do in order to discredit and erase the experience of war-making or the existence of war-making institutions that obviously continue to mobilise resources for future wars. So in a place like Jammu & Kashmir, which is an active war zone, even in the absence of such ‘shelling’, people lack the experience of peace for various reasons, one of them being the extensive presence of the military in their midst. How can you experience peace in a place like that? Third, a lot of civilians who fought at the behest of the Indian army whether through coerced or paid labour – the dividing line is thin anyway – didn’t necessarily do that out of a deep sense of ‘national identity’ but simply to protect their land. It is only over time that these identities were reworked to conform with nationalist narratives of victory and patriotism. NGQ: You also observe the ‘strategic exclusions’ of Kargili Muslims and their representation as ‘incipient terrorists’ by the establishment in its extension of Sadhbhavna and what it calls participatory democracy. Could you elaborate on this? MB: The idea of incipient terrorism comes from the state’s deep sense of anxiety against border populations, almost regardless of their ethnic and religious backgrounds, who are looked upon as an emotionally and physically divided people – ‘half here and half there’. The army similarly sees a radical potential (in border communities) for acting against the state in seditious ways. It’s not picking up the gun alone that is an act of sedition. Thinking of the ‘other half’ too can be an act of sedition. 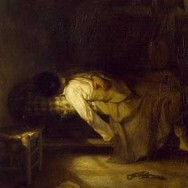 Even memories of past connections are considered seditious. So, when there is no armed rebellion against the state, sedition looks exactly like these moments where you don’t feel completely connected with one kind of nation state, where allegiance to one nation state is an artifice, a manufactured emotion, not something that people fully conform to. In fact, people actively defy nationalist narratives by speaking about the times when things were different, when there were no borders. But even recalling these moments becomes an act of sedition. The young army recruit, who belonged to the same village, was stunned to hear this. Later, he told me, “Ye Buddha na… sathiya gaya hai, This old man has lost his mind.” He couldn’t believe the old man was serious, and that was so unfortunate. Clearly, the boundaries have become rigid in so many ways. But, people also continue to defy these boundaries. Memories, rituals and gods that people shared – they talk continually about all these connections. And in the process, they defy the sense of naturalness around nation states, the sense that India is a natural civilisational entity and that other possibilities could never exist.